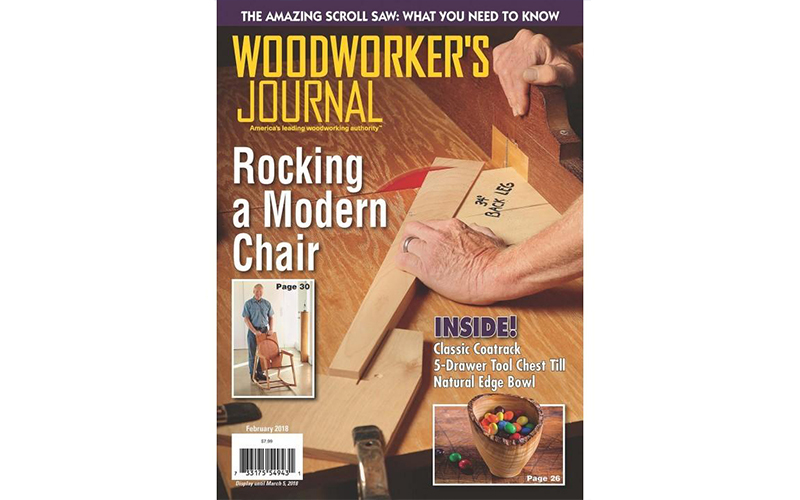 Woodworker’s Journal featured the WORX Sidekick Portable Work Table in its February 2018 issue. The Sidekick workstation from WORX sets up in less than a minute to provide a 23.6″ work surface, and folds up just as quickly for transport or storage: the tubular steel leg set stores within the folded tabletop. The Sidekick can support workloads of up to 300 pounds and has a working height of 32″. Its resin tabletop has a honeycomb construction on the underside and inch and millimeter scales molded into the top. Four provided clamp dogs fit into strategically positioned holes for holding lumber and other materials. Multiple Sidekick tables can be linked together to create a larger work surface. The Sidekick weighs 13 pounds and is priced at $59.99. Shop for the WORX Sidekick on www.worx.com. Read more from Woodworker’s Journal by clicking HERE.